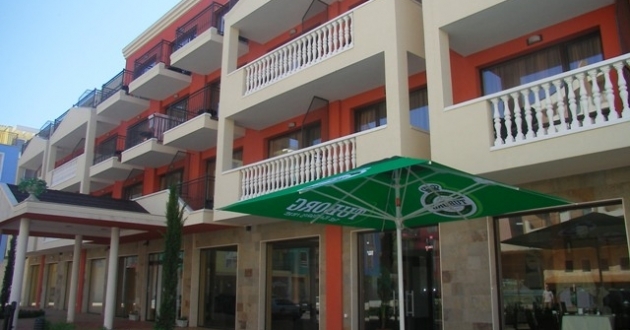 Location: Forum is a modern, comfortable hotel, situated in the Southern part of Sunny Beach resort, at 250 m from the beach and in a walking distance to the town of Nessebar. Built in 2006. Accommodation: 50 double rooms and 6 apartments Each room is equipped with mini-fridge, cable TV, telephone, bathroom with shower and hair dryer; central air-condition, balcony. In the hotel: reception, lift, outdoor swimming pool, safety deposit boxes, Internet corner, money exchange, laundry services, restaurant, lobby-bar, pool-bar.